Christmas is often considered the most romantic time of year. As a result, it is also the most popular time for couples to get engaged. With spirits running high and festivities in full swing, it is easy to see why ‘tis the season to propose. Why not pop open that Champagne bottle and make this year extra special for you and your loved one? Here at Jaubalet, we have created the ultimate Christmas proposal guide to help make your Christmas engagement a magical day to remember. There are hundreds of ways to propose to your loved one. However, if you choose to get engaged over Christmas, you may want to include these festivities in your special day. Here are some Christmas-themed proposals that are sure to give you a Fairytale *of New York* ending to your day. The Christmas tree proposal: Putting up the Christmas Tree typically marks the first day of Christmas. Begin your Christmas by asking your loved one to place the angel/star on top of the tree and, as they do so, get down on one knee and ask for their hand in marriage. Surrounded by your loved ones: With friends and family already in the contagious celebratory mood, it is likely that they will be willing to assist in making your proposal one to remember. Why not gather the most important people in your partner's life so that they can celebrate it amongst people they love? Advent Calendar: Christmas Eve is when the festivities really begin. Why not replace that final chocolate on the 24th of December with a stunning engagement ring? First thing on Christmas morning: Waking up in your cosy bed on Christmas morning is a wonderful feeling. Why not make your partner’s morning extra special by surprising them with a luxury breakfast in bed? Propose to them by placing an engagement ring on the breakfast tray. An engagement ring serves as the ultimate Christmas gift. Not only is it a beautiful piece of jewellery to adorn your finger with, but it also symbolises the ultimate gift of love and commitment. Here at Jaubalet, we have a range of bespoke engagement rings and Christmas-inspired engagement rings, allowing you to spoil your loved one with the most precious gift there is. 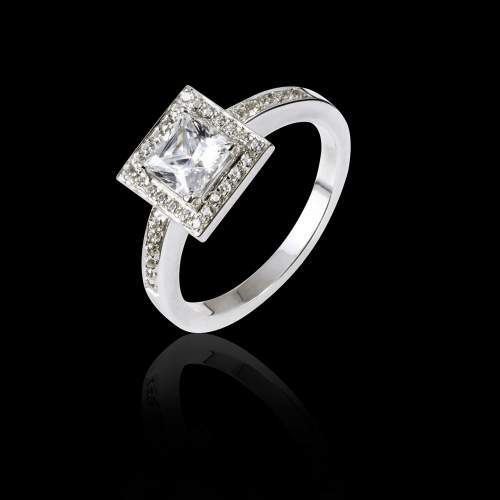 If you want to tailor an engagement ring to suit your partner’s personality, we offer custom made jewellery. This allows you to design your own unique ring. We work together with you to transform your inspiration into an exquisite piece of jewellery and involve you in every step of the way. Let your imagination run wild and give your loved one a truly personalised gift this Christmas. Alternatively, we offer a vast selection of stunning pre-made rings to match your engagement ring to your festive proposal. Here at Jaubalet, we have selected some of our favourite Christmas-inspired engagement Rings. 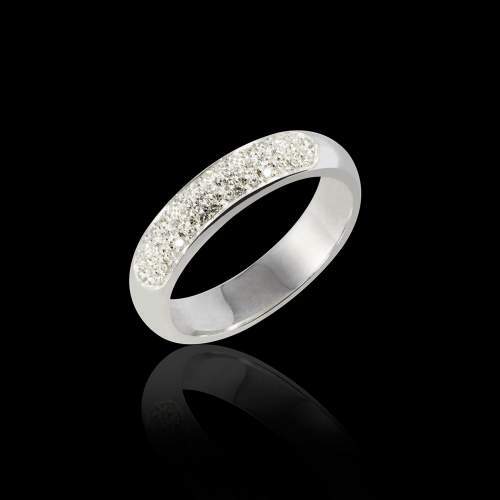 This stunning white gold ring, encrusted in twinkling white diamonds, glistens the way a classic white Christmas should. 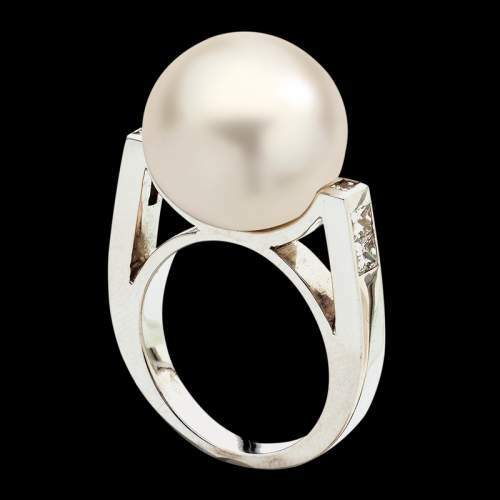 Reminiscent of a glistening white snowball, this stunning pearl ring makes the perfect Christmas engagement ring. It is impossible to go wrong when buying a diamond. 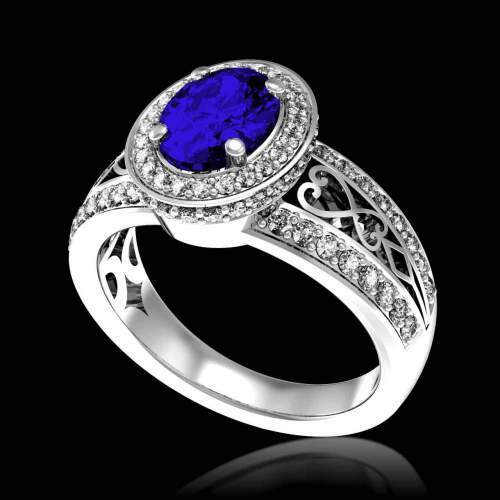 This stunning ring is a timeless classic that would shine beautifully amidst the shimmering snow. To reflect the icy winter’s air, the cool hues in this breathtaking blue Sapphire make it the perfect ring for a glacial Christmas engagement. If you are looking to get engaged this Christmas, Jaubalet have a vast range of exquisite engagement rings to treat your loved one. If you would like assistance in choosing the perfect ring or need any advice, please contact us today- we would love to help you make your Christmas engagement one to remember.